Circular outline. Circular discus with framing ring. Slightly sloping shoulder has scrolling, tenuous tendrils around small grape clusters. Tall ring handle with two grooves attaches at discus rim and part way down base. Early/Middle Roman Corinthian lamp fabric: hard, fine, pale. 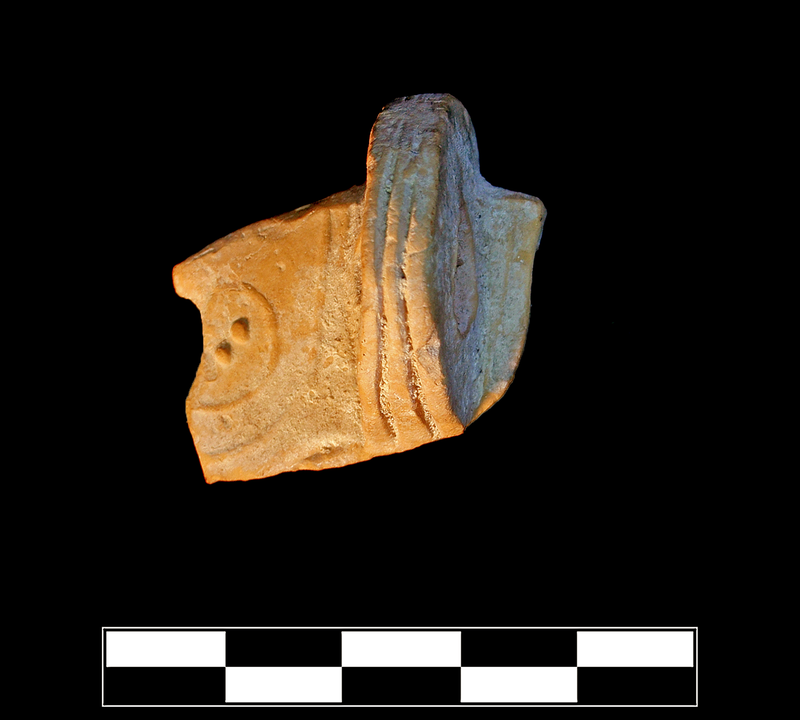 One sherd preserves small part of shoulder and most of handle. Slight chipping around edges; slight, extensive patches of encrustation.